service animals or pets travelling by air. 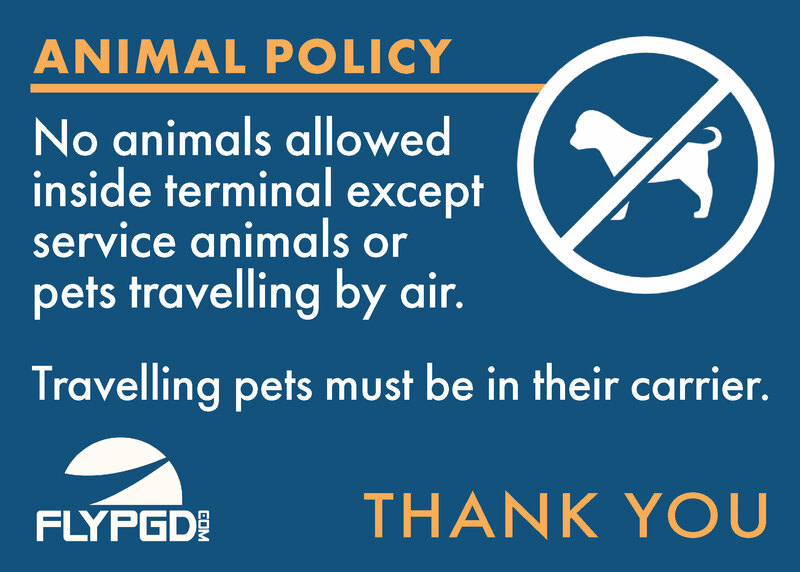 Travelling pets must be in their carrier or held. The exceptions to this rule are law enforcement dogs and Therapy K9’s of Southwest Florida. We really appreciate your cooperation!